Note: Next week’s post will provide details on how to contact the post and schedule your visit. Let’s turn back the clock a bit, shall we, back to December 2016, when the Monitoring Post was ‘freshly’ established. 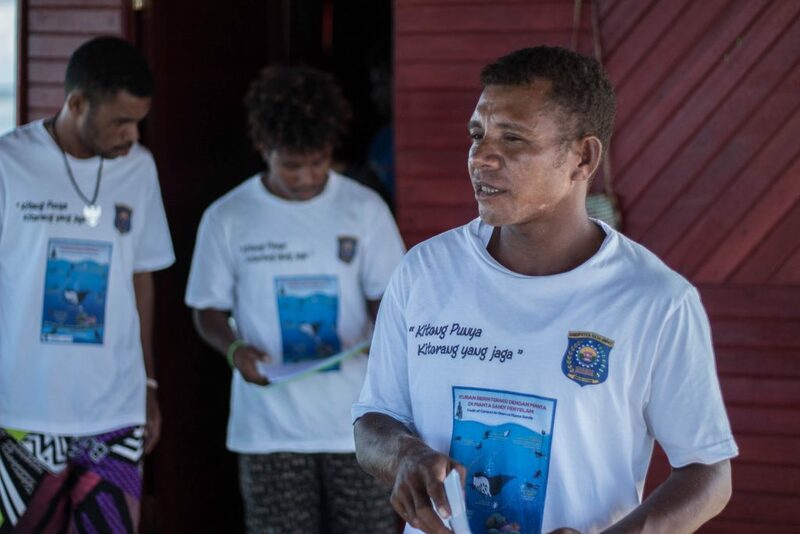 The post is another commitment-driven, manifestation of the stakeholders fused in “Kelompok Kerja Manta” (“Manta’s Task Force”), which was tasked to provide ‘hard data’ and to develop a management model for manta ray tourism in Raja Ampat. Members of the task force voluntarily provide input in various forms; including financial support, supplying items required for the Post, their energy, time, and of course: ideas too. Additional entities that have pledged their efforts in support of this initiative are Conservation International (CI) Indonesia, Papua Explorers Resort Raja Ampat, Raja Ampat Dive Lodge, Sea Centre, Papua Diving, Raja4Divers Resort, Grand Komodo Liveaboards, Jaringan Kapal Rekreasi or JANGKAR (the association of recreational vessels operating in Raja Ampat), Marine Mega Fauna Foundation, Raja Ampat Biodiversity Eco Resort, academicians from Campus III of Papua University, and the Regency of Raja Ampat’s government through Raja Ampat MPA Network’s Management Unit, Marine and Fisheries Agency, and the Tourism Agency. The post is located on a platform near Manta Sandy and is where the Kader Manta (Manta’s Cadre) is permanently stationed in order to perform their duties. Trained properly in English and presentation skills, their tasks ranges from providing information for the tourists related to the Manta Sandy’s Standard Operating Procedure (SOP), Code of Conduct on interaction with Manta Rays (both for divers & snorkelers), and all the need-to-know related to this graceful species. Besides communication, the Cadres are putting their best efforts into ‘controlling’ the quantity of tourists, and number of vessels operating during each session of visitation to the site. Through the implementation of the aforementioned SOP and Code of Conduct, it is expected that several prior incidents, where mantas went ‘missing’ in times of stress, could be permanently avoided. 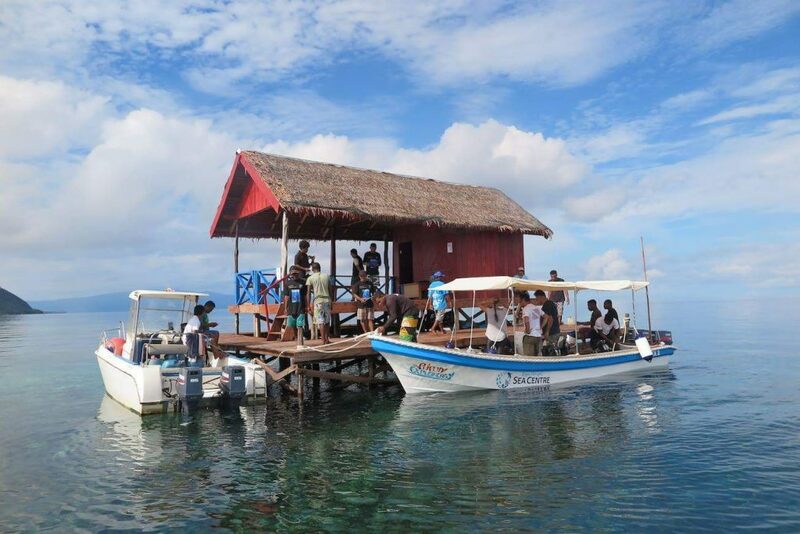 As divers are perhaps already aware, Manta Sandy is one of the ‘busiest’ dive and snorkeling sites in Raja Ampat. There are many reports, communicated by tourism industry representatives and members of the local community, of a similar tone: there are too many violations occurring there. Some of the rays have left the area presumably due to the staggering number of vessels circling around the site. Tourism is booming and there are an ever-increasing number of visitors to the area. 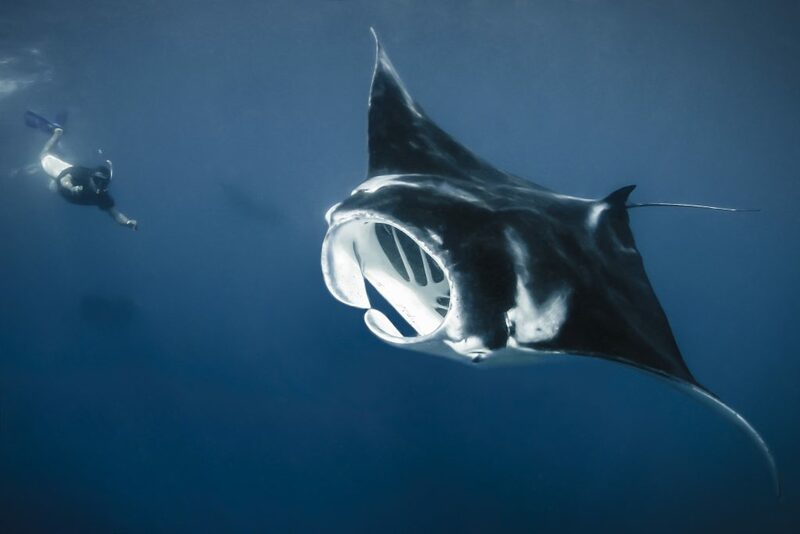 Many divers are entering the cleaning station’s “off limits” zone, ignoring the safe distance of interacting with Mantas, and deliberately touching them. Some operators even wash their speedboats in the shallows! In June (2017), a trail period of ‘general rehearsal’ was designated for the Manta Sandy’s Monitoring Post prior to its entering full-operation mode. This trial period was utilized to inform locals and visitors of the post’s existence and how the Cadres will implement the news guidelines. For instance, during this trial period several tourists were caught without their Environmental Service Fee (Park Entry Fee), the Cadres softly reminded them to bring it upon their next visit to Manta Sandy. The Coordinating Ministry for Maritime Affairs officially launched Manta Sandy’s Monitoring Post on the 18th of October 2017, in conjunction with the Festival Bahari Raja Ampat (Raja Ampat’s Maritime Festival), which was conducted at Waisai Torang Cinta (WTC) Beach. 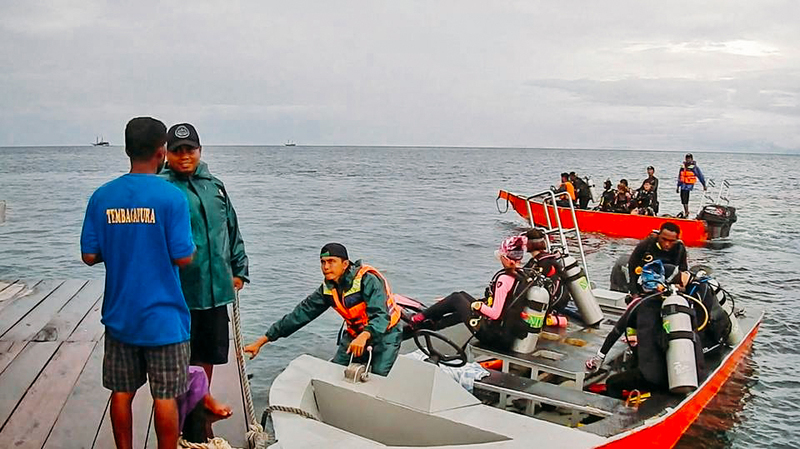 The monitoring post is not only expected to minimalize, if not completely abolish, the negative impacts generated from irresponsible tourism activities, but also serve as a model for management of manta ray tourism, which hopefully will be replicated in other areas in Raja Ampat. Meidiarti Kasmidi is the West Papua Sustainable Tourism & Alternative Livelihood Coordinator for Conservation International, Indonesia.